Carpet Cleaning Casper: What Carpets Are Best for Businesses? Now that you know why your business should care about carpeting, we should discuss what kind of carpeting is actually best. We’ve helped businesses of every type with their carpet cleaning needs here in Casper. That’s given our crew a lot of experience when it comes to commercial carpeting, and we know what works and what doesn’t in these busy environments. If you are looking for new carpeting for your commercial space, we have some suggestions that could help you save time and money in the future. But Wait! Do You Really Need New Carpeting? Before you make the commitment to get new carpeting installed in your business, call us for a consultation. Getting your carpets professionally cleaned can eliminate even the toughest stains and revive the carpet fibers so they look like new again. You’d be amazed at the difference our powerful machinery can make in the appearance of your carpeting. It’s worth getting your carpets cleaned before you replace them to see if you really need to get them replaced or if there are a couple of years left in them. This could end up saving you thousands over the years and prevent you from wasting money that’s better left in your bottom line. If you really do need to get new carpeting for your business, our carpet cleaning team has some suggestions about what to look for when shopping around. Stick with carpets made for commercial spaces. These carpets are going to be the most durable option for your retail or commercial space. Carpet that’s made for residential spaces is far less durable and won’t stand up to the kind of traffic you experience in your business. You might pay a little more for carpeting that’s made for a commercial space, but it’s almost certainly going to last years longer than a residential carpet would. Over time, that’s going to save you money on replacement costs. Look for stain-resistant carpeting. Spills are going to happen. Make sure your carpet is ready for it! Commercial carpets are often treated with stain-resistant sprays that help repel the stain so you can get it soaked up before it gets deep into the carpet fibers. Talk to your carpet cleaning team about refreshing these stain-resistant barriers, too, so it continues to work long into the future of your carpet. Don’t pick the cheapest carpet. This is a big mistake that many businesses make! It’s understandable that you want to save money on your building maintenance costs, but picking a cheap carpet is going to cost you more in the long run. Not only will you have to replace it sooner than a high-quality carpet, it can make a bad impression on your customers and could even lose you some business. Select something that’s going to look good in your space. Looks aren’t everything, but it’s definitely something to be considered when it comes to your carpeting. Consider the overall color scheme of your office. If there isn’t one, choose a nice neutral carpet color that will blend nicely with your existing wall and equipment colors. When in doubt, a dark gray will look professional and help you hide stains and wear patterns. Look for pull-resistant carpeting. One of the things that will ruin the look of your carpeting faster than anything else is pulled loops. Loop carpeting is especially bad about this; once that strand of fibers starts to pull, you might get a pull that runs the entire width of your carpet. Look for carpeting that offers anti-zippering, which will stop pulls after just a couple loops. This prevents the damage from spreading and helps your carpets look newer, longer. 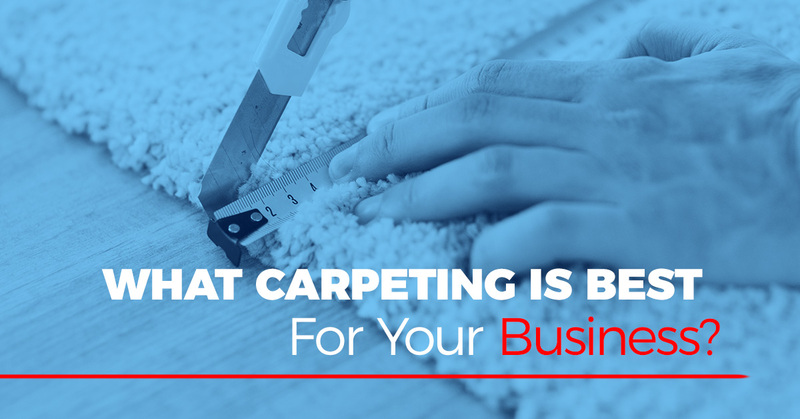 When you have new carpeting installed in your business, it’s important to care for it! 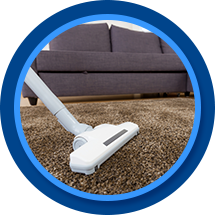 Our carpet cleaning team in Casper can help. Talk to us about setting up an annual cleaning schedule for your office and we’ll make sure your carpet looks as good as new for as long as possible. You can give us a call or contact us through our website for a free estimate and we’ll get you set up with a schedule that’s right for your business and your carpeting.